Ask Stetson senior Patrick Sheridan about what made Florida tourism and he doesn’t mention sunshine or theme parks. Florida tourism boomed in the early 1900s for the working class, thanks to the Good Roads Movement, which advocated for an ambitious network of highways to carry automobiles from places like Chicago and Indianapolis to Miami. Sheridan’s senior research project, “Good Roads and the Dixie Highway,” will be one of about 193 projects, art work and performances presented across campus during the 21st annual Stetson Showcase on Tuesday, April 16. 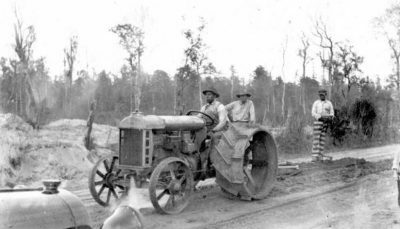 Convict labor was used to build roads in Florida, as seen in this 1915 photo from the Florida State Archives and used in Sheridan’s presentation. 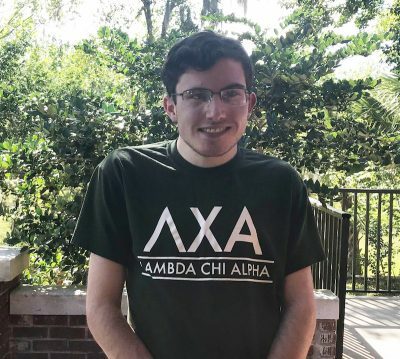 He won Best Undergraduate Presentation at the Phi Alpha Theta state conference in Jacksonville on March 30 and also presented the research to the Florida Conference of Historians in Sarasota in February, as well as in his Senior Project class in December. Now, he’s looking forward to Showcase and the chance to “present it more publicly rather than in the confines of the university or the academic community,” he said. The university cancels undergraduate classes for the day every year to allow students to attend Stetson Showcase. Students also can receive up to five Cultural Credits for attending the presentations and other events. Showcase is free and open to the public, including the keynote address by Lonn Lanza-Kaduce, Ph.D., J.D., a University of Florida professor of Criminology and Law, on April 16 at 6:15 p.m. in the Stetson Room. The theme of this year’s Showcase is “Rites of Passage,” and will feature photographs and artwork from Stetson students through the decades, said Kimberly Reiter, Ph.D., Associate Professor of History, and Chair of the Stetson Undergraduate Research Committee and Stetson Showcase. 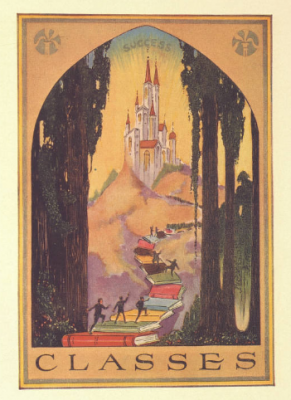 Artwork from the 1925 Stetson Yearbook will be used in this year’s program. Courtesy, Stetson University Archives. 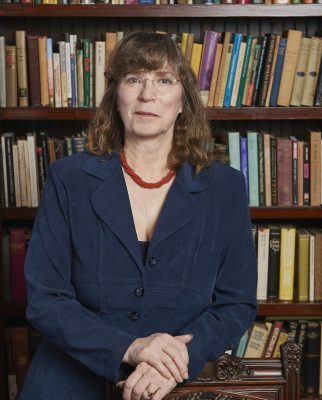 This year’s Showcase will be dedicated to longtime Stetson professor Charles Vedder, Ph.D., who passed away last summer and was interested in criminology, she said and added that the keynote address will focus on criminology and law. Student presentations will be reviewed by a panel of judges, who will award Maris Prizes at each location, with $200 and a certificate of excellence. Honorable mentions also will be named in each category. “Showcase is what we call a sticky experience. In other words, it is something that sticks with the kinds of students who present. … It means a great deal to them that the rest of the university is seeing their work, especially the Maris winners,” she said. Since 2007, Reiter has served as Chair of Stetson Showcase and the Undergraduate Research Committee, which awards $2,000 Stetson Undergraduate Research Experience (SURE) Grants for students to conduct research. Up to $500 also is available to pay for travel related to their project. 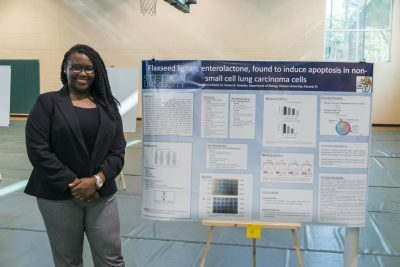 Since 1999, Stetson Showcase has highlighted undergraduate research and creative projects, including this student presenting in the 2016 Showcase. Reiter says she is hoping to raise funds to expand the SURE grants and Showcase. “In fact, the funding for SURE grants hasn’t changed since 1997. The students who are presenting from their SURE grant research are incredibly good scholars,” she said. In order to continue, “especially with the kind of quality keynote speakers that we want to bring in,” Showcase will need to address its fundraising and support levels, she added.